1. This submission focuses on the situation for human rights defenders (HRDs) in El Salvador and covers developments from October 2014 to March 2019. 3. The new administration of president Nayib Bukele will take office on 1 June 2019, and it is expected to address long-lasting social issues such as criminality, migration, poverty and transitional justice. However, HRDs are worried that the incoming government’s failure to adopt a stance on human rights issues may lead to a disregard for human rights violations that may accompany an expected shift towards more market-oriented policies. 4. In April 2018, El Salvadoran legislators failed to amend the national Criminal Code softening the prohibition of abortion, despite the presentation of two different draft proposals to do so by parliamentarians, which were supported by feminist collectives that seek the full exercise of women’s reproductive rights (such as Agrupación Ciudadana por la Despenalización del Aborto Terapéutico Ético y Eugenésico and La Colectiva Feminista para el Desarrollo Local). The country is one of the few remaining countries in the world where there is a complete ban on abortions, including in cases of fatal foetal abnormalities. Women human rights defenders (WHRDs) and organisations who advocate for reproductive rights in El Salvador have been subjected to smear campaigns that target their personal and professional image, questioning their role as women and mothers. The threats, stigmatisation and cyberattacks against these women and feminist HRDs are largely carried out by conservative and religious fundamentalist groups, who are equipped with large resources of private capital. 5. After more than two decades, on 13 July 2016 the Supreme Court of Justice of El Salvador declared the country’s General Amnesty Law unconstitutional1. The repeal of the General Amnesty Law allows for HRDs and victims, who were silenced for over twenty years, to further advocate for justice, the right to truth and an end to the culture of impunity. However, Front Line Defenders has received information that the Legislative Assembly of El Salvador has proposed a new "Law of National Reconciliation" which would create even more barriers to the pursuit of justice, truth and reparations than the former Amnesty Law2. 6. During its last review, El Salvador accepted three recommendations regarding the protection of HRDs, all related to the investigation of attacks and intimidation against them. The country replied that it was already engaged on the matter, given its efforts to combat impunity and corruption and its legal provisions that increase punishment for crimes against HRDs. However during the period under review, Front Line Defenders has received a number of reports that point to a lack of protection, lack of investigations and even direct attacks and harassment perpetrated by state security forces against HRDs. The State often fails to prioritise investigation lines that relate to their human rights work, and treat violations specifically targeting HRDs in the context of the overall high rate of violence in the country. Furthermore, the Procuraduría para la Defensa de los Derechos Humanos (Ombudsman for the Defence of Human Rights) is not seen as an ally by the majority of HRDs in El Salvador given its degree of politicization and its unsatisfactory interventions in cases of human rights violations. 7. During the period of concern, several HRDs and civil society organisations faced judicial harassment in El Salvador. Attempts to criminalize the work of HRDs were undertaken by the government while companies seeking to carry out mega-projects in the country also filed criminal complaints against defenders. In 2015, WHRD Sonia Sánchez, who works on the protection of the natural resources of the El Porvenir forest against an urban development project which threatened its existence, was accused of defamation and slander by the Grupo Roble company. 8. Three recommendations were accepted by the State in relation to indigenous peoples’ rights. The government of Mexico recommended that El Salvador should “Establish mechanisms for consultation with indigenous peoples to adopt policies and legislation that promote their rights”. Despite the approval of an amendment to Art. 63 of the country’s national Constitution guaranteeing the development of public policies for the protection of indigenous populations in June 2014, these groups still struggle to obtain full rights to their ancestral lands, which jeopardises their rights to self determination and food and housing security. In 2015, the El Salvadoran government issued a programmatic document3 with a number of public policies for the protection of indigenous peoples that would be implemented in the upcoming period, including access to education, health, housing, and the protection of cultural rights. Nonetheless, these measures have not yet been implemented, and indigenous HRDs continue to seek effective protection from the State4. 9. El Salvador has repeatedly failed to provide specific protection for women from violence, which directly affects the safety of WHRDs carrying out their work. The country accepted a recommendation from Ireland to “(t)ake all necessary steps to ensure the effective implementation of legislation seeking to combat violence against women and girls, and take specific measures to protect those who are victims of violence based on their sexual orientation and gender identity”, which, the government insisted, was ongoing. However, Front Line Defenders has continued to note a high number of cases of gender and sexual-based violence, including the use of smear campaigns, criminalisation and threats against those who defend women’s rights, especially reproductive rights. In 2015, feminist organisations, including Agrupación Ciudadana por la Despenalización del Aborto and the Colectiva Feminista para el Desarrollo Local, were subjected to stigmatisation and threats of criminalisation due to their defence of 17 women charged with homicide due to pregnancy complications5. Moreover, human rights violations in connection to trans women’s gender identities are a source of concern for El Salvadorian WHRDs, as government policies in this regard fall short on their protection, as exemplified by the killing of Francela Méndez, who defended the rights of transgender people in El Salvador as part of the Colectivo Alejandría,6 on 31 May 2015. 10. There are a number of laws that exist within the legal framework which represent a threat to the activities of HRDs. El Salvador’s anti-terrorism law7 is drafted loosely enough to allow for the criminalization of HRDs and organisations who seek to carry out projects in areas controlled by gangs defined as terrorists. HRDs interviewed by this organisation state that they fear engaging in human rights work in these regions as it could be interpreted in the future as supporting ‘terrorist’ networks, and therefore falling within the boundaries of the anti-terrorism law. 11. Legal proposals put forward during the period under review seek to further limit civil society space. One example is the “Ley de Organizaciones Sociales” (Social Organisations Law), in which authorities would have the power to dismantle human rights organisations if they are perceived to be politically active. Additionally, civil society organisations would be forced to disclose all information on their projects which could put some of those those involved at risk. HRDs in the country fear that this bill may be approved without popular consultation, which could lead to its arbitrary application against organisations that work on issues deemed inappropriate by political and economic powers. 12. A legal proposal on the privatization of water also represents a significant threat to HRDs, given that it is supported by large private companies who have in the past attempted to seize territories from local groups (mainly indigenous and environmental rights defenders). HRDs involved in the defence of the environment and access to natural resources by indigenous communities, who have been historically marginalised, see a clear risk to their work in this proposal. The proposal must be seen in the context of extractive projects in El Salvador which frequently result in human rights violations against local communities and people defending their rights. On several occasions, these violations have been ignored or even sponsored by state authorities. 13. A proposal for a law on the protection of HRDs was put forward on 6 September 2018 by members of civil society, with the support of a number of Legislative Assembly members.a It envisages a protection system (enforced by a registry of violations); the recognition of rights; the equal involvement of State institutions and civil society representatives; and State resources. Front Line Defenders believes that the approval of such a law would be a positive message on the State’s commitment to protect HRDs. 14. A number of the HRDs that Front Line Defenders was in contact with in the period under review believed that they were, regularly or occasionally, under surveillance by the security apparatus. Furthermore, there is a notable pattern of intimidation targeting certain HRDs as a result of their work. 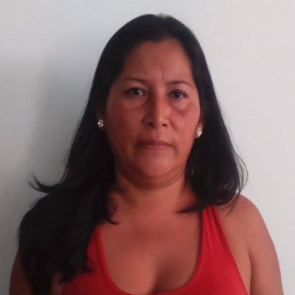 On 29 June 2017, the house of WHRD Sonia Jeannette Sánchez Pérez was searched for the second time without a warrant in one month by members of the National Police. Moreover, on 8 June 2016, HRDs Pedro José Cruz and Bertha de León were monitored and followed by unidentified men outside the Criminal Court in San Salvador, where they were representing clients in several corruption cases against businessman Mr Enrique Rais López. 15. Gang violence represents a specific source of threats to HRDs in El Salvador. According to HRDs Front Line Defenders spoke with, these groups are often aligned with State authorities and private companies, who hire them to carry out intimidation and attacks on HRDs whose work affects their interests. Gangs often control entire territories, charging fees to human rights groups to enter communities or denying them permission to enter at all. This situation hampers the work of HRDs, who are banned from engaging in their activities in some areas, while also being subjected to violence from the para-state groups who control those areas. 17. HRDs who engaged on environmental issues have been frequently subjected to killings, intimidation, threats, surveillance, and criminalisation. On 4 April 2015, Father Santos Neftalí Ruíz Martínez was interrogated and strip-searched by members of the National Civil Police, who accused him of involvement with gangs. He was warned not to report the incident. The HRD had been engaged in the opposition to the exploration of the El Dorado mine by multi-national company Pacific Rim, in light of human rights violations associated with the project. Moreover, on 12 August 2018, WHRD Dina Yaseni Puente, was killed in connection with her work as an environmental rights defender in Ahuachapán8. 18. Access to justice is one of the biggest issues highlighted by HRDs as an area of concern. State security forces often work with or are active members of gangs, which creates severe mistrust between the population and authorities9. The infiltration of the security forces by gang members is especially dangerous for the work of HRDs, who do not receive adequate protection from the State and are often subjected to attacks that invariably result in impunity – a major concern in El Salvador10. It is often the case that authorities treat crimes against HRDs as “common crimes”, or as a result of generalized violence, and fail to follow clear lines of investigation that would lead to those material and intellectually responsible, as well as the real motivations of such attacks. Due to their human rights work and lack of alliance with paramilitary groups, defenders are stigmatised and targeted, and are systematically denied access to justice. 19. Despite receiving five recommendations to improve the protection of LGTBI persons and establish public policies to end discrimination against them, El Salvador chose not to accept any of those recommendations in 2014. The issue of targeted violence against LGTBI individuals remains invisibilised, and such attacks often fail to result in serious investigations by authorities. 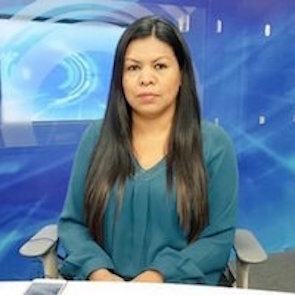 For instance, after the killing of trans WHRD Francela Méndez on 31 May 2015, the National Civil Police treated the crime in the context of drug trafficking. Front Line Defenders believes that this killing may have been linked to the defender’s work on the promotion of trans rights, especially given the high number of killings of trans persons. This highlights a grave tendency to overlook discrimination against LGTBI persons, and the use of defamation to justify the lack of investigations of crimes committed against HRDs. For example, on February 2019, LGBTI HRDs Andrea Ayala and Bárbara Romero were subjected to an online smear campaign that included falsely accusing them of crimes11. 20. Judicial harassment is one of the most common forms of repression against HRDs. It is used to target those working on indigenous, environmental, reproductive rights and government accountability claims. Although in the majority of cases the HRDs are found innocent, they are still forced to commit resources to attend court and obtain proper legal defence. 21. Lawsuits and charges against HRDs appear to have been used in retaliation for their role in denouncing crimes and human rights violations. WHRDs Bertha de Leon and Teresa Naves faced judicial harassment due to their work at the Fundación de Estudios para la Aplicacion del Derecho, through which they both brought corruption allegations against former president Francisco Guillermo Flores Pérez. In January 2015, the Prosecutor's Office filed an administrative complaint against FESPAD for allegedly disclosing confidential financial information. The General Prosecutor threatened to bring a criminal complaint against the organisation for disclosing information contained in reports by the Financial Crimes Enforcement Network (FinCEN) of the United Stated Department of Treasury. 22. Even when ending in acquittal, court proceedings succeed in hindering the work of the HRDs concerned, affecting their reputation and furthering the view – often upheld by national media – that they are seeking to exploit their role as HRDs to illegally advance their causes. This is especially the case regarding accusations of defamation. 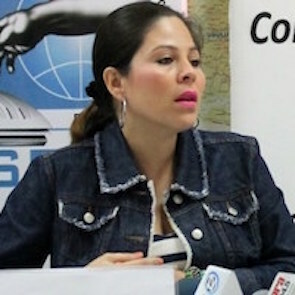 On 23 August 2016, WHRD Sonia Sánchez won a lawsuit against the Salvadoran company Grupo Roble, who had accused her of defamation and slander. The defender was acquitted after a year-long lawsuit. If convicted, she would have had to pay up to 25.000 US dollars to the company. Consider adopting a law on the protection of HRDs, as proposed in September 2018, in close consultation with civil society, addressing the issue of security and protection, including the creation of a Mechanism focused on protecting HRDs’ ability to defend human rights and not merely on direct physical protection. This should include recording of violations against them and analysis on collective protection and gender perspective. a Local civil society has mobilized and tried to involve regional and international mechanisms, such as the IACHR and the OHCHR, in order to achieve its approval.